Happy holidays, we love this time of year! Office demands tend to slow a bit as vacations begin and there are lots of parties and opportunities to cook, bake and celebrate. How many parties will you attend this holiday season? Don’t know what to bring? A crock pot of meatballs is always a crowd-pleaser, or perhaps a gourmet olive platter may do the trick. Hosting a cocktail party? Then stock up on spirits, mixers and garnishes and print off our new martini recipe. 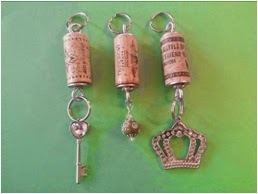 Don’t know what to bring as a hostess gift? Stay tuned, lots of new items to help meet your gift-giving needs this month. November was an action-packed month. On November 7th, we participated in the 1st annual Local Evolution market at Darwin Brewery in Bradenton. It was a night of local food, music and fun in a great outdoor setting and we are looking forward to more Local Evolution markets soon. November 8th was the 28th Annual Zoofari at Lowry Park Zoo. 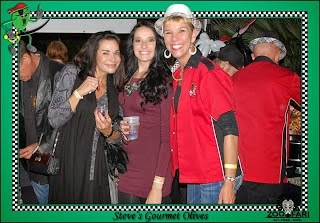 Approximately 4,000 guests attended and our tent was full of hungry people sampling olives and meatballs all night. Check out all the photos on our website. Thank you Holly & Jason Szabo and Sue & Jeff Etter for your help. We are super excited to be collaborating with Cigar City Brewpub in Carrollwood! We have created new olive flavors using our Pirate recipe and 3 of their incredible craft beers. Look for more news of this soon. November 22nd was the 6th Annual Shopapalooza Festival in St Petersburg sponsored by LocalShops1. There were 130 vendors selling their hand-crafted products in Straub Park all day. It was Tampa Bay’s alternative to Black Friday and a great kick-off to the holiday season. We also attended 4 tasting events at ABC Fine Wines this month. These events offer the best way to get introduced to over 100 craft beers, wines and spirits in a single 2 hour time period, for a mere $10. What a deal. You asked for it, we finally have it. New martini olives! Spanish Manzanilla olives, pimento-stuffed, marinated in our signature Pirate recipe. Available in both mild and spicy versions, they are perfect for a dirty martini or spicy Bloody Mary. Sold directly from us right now, hopefully sold at ABC Fine Wines in the New Year. Introducing the “The Perfect Dirty Martini with Steve’s Gourmet Olives”. Go to the recipe page and print it off. Handy for holiday gatherings. 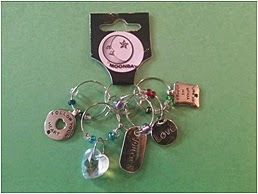 We have added several gift items for the holiday season. Whether you need a gift for your best friend, your boss, or that hard-to-buy-for relative, we have you covered. All items hand made by us or our friend. The towels custom made by Sharon Haley at shaleydesigns.com, everything else created by Steve & me. There is an order form attached to the monthly newsletter that can be emailed back to me at susan@stevesgourmetolives.com. Order deadline is December 17th. Also, all items can be purchased in person at 3 holiday markets December 9th, December 12th, and December 21st. See event calendar. Deadline for orders - Dec 17th. All orders fulfilled - Dec 21st. Cash or Credit Cards accepted. Call Susan at 727 644-7500 with questions. Thurs Dec 4th – Holiday Wine Tasting, ABC Fine Wines, 14279 N Dale Mabry, Tampa, 6-8pm. $10 at the door buys you samples of over 100 fine wines, craft beers and spirits, plus samples of local foods, a souvenir wine glass and $10 coupon towards purchase. Thurs Dec 4th – Holiday Wine Tasting, ABC Fine Wines, 4319 S Florida Ave, Lakeland, 6-8pm. $10 at the door buys you samples of over 100 fine wines, craft beers and spirits, plus samples of local foods, a souvenir wine glass and $10 coupon towards purchase. Tues Dec 9th – Holiday Fundraising Event, Doubletree Hotel, in “The Bistro”, 4500 W Cypress Ave, Tampa. 5- 8pm. Steve’s Gourmet Olives will have all gift items for sale individually, or in gift packages ranging from $20 to $70. Also, selling all wine and beer-marinated olives in festive holiday wrap. Hosted by Krewe of Pandora. Free admission. Proceeds benefit A Kids Place. Friday Dec 12th, 5-9pm. 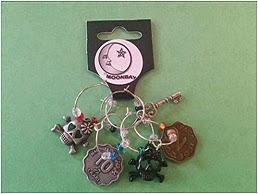 - Local Evolution Craft Market, Darwin Brewing Company, 803 17th Ave W, Bradenton, FL 34205. Geraldson Community Farms and Darwin Brewing Co are collaborating for an evening of everything local. Enjoy freshly-prepared foods, local music and craft beer in a beautiful brewery setting. 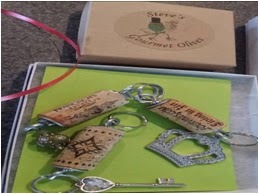 Steve’s Gourmet Olives will have all gift items for sale individually, or in gift packages ranging from $20 to $70. Also, selling all wine and beer-marinated olives in festive holiday wrap Free admission. Sunday Dec 14th, 12-5pm - Brew Bus Ride Around, featuring visits to Six Ten Brewing, Southern Brewing and Wine Making, and Cigar City Cider and Mead. Pick up at 3 Daughters Brewing 222 22nd Street S in St Pete. Tickets $30 per person, includes 2 craft beers on board the brew bus. Tickets at www.brewbususa.com. Sun Dec 21st, 12-5pm - Holiday Gift Making Market, St Pete Shuffle Board Club, 559 Mirror Lake Drive N, St Pete, FL 33701. 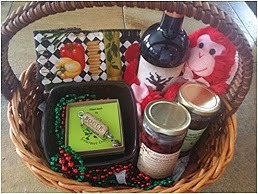 Create one of a kind gifts and gift baskets from local vendors on site. 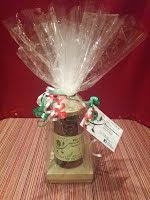 Steve’s Gourmet Olives will have all gift items for sale individually or in gift packages ranging from $20 to $70. We hope you like all the new gift items and the new martini recipe added for the holidays. And we hope you find peace and joy and lots of reasons to celebrate this holiday season. Have a Merry Christmas and see you in the New Year!